Contrary to the opinion of many looking to get rid of the Social Security Disability Insurance program as part of a presidential campaign bid, the vast majority of Americans with disabilities are at a point where, without benefits, they would not be able to afford basic necessities for themselves or their families without it. 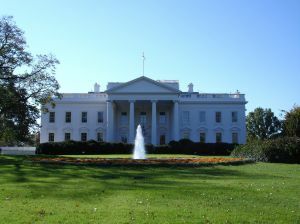 According to a recent news article from Disability Scoop, President Barack Obama has recently hired a new disability liaison to work with the White House to bridge the gap between Americans with disabilities and the federal government, so as to make lives easier. This new liaison will officially serve as an associate director in the White House Office of Public Engagement, and the focus of her work will be to listen to the needs of disabled citizens and incorporate those needs into White House policy initiatives. As our Boston disability attorneys understand, one main way to make lives better for Americans with a disability would be to remove the unnecessary hurdles and roadblocks millions of disabled individuals face when applying for much needed Social Security Disability Insurance benefits (SSDI) and supplemental security income benefits. It would also be of great help to reduce the time it takes for applications to the get through the system and before an administrative law judge (ALJ) for a hearing, in the event an application is denied. Currently, applicants may wait over a year before being granted a hearing. The person taking over the job has cerebral palsy herself, and this may help her identify with the needs of those she has chosen to serve. Before joining the White House staff, she worked as an advisor in the United States Department of Labor (DOL) and assisted with the agency’s Disabled Employment Policy. Her particular focus was on youths and adults with disabilities and the employment process. One problems faced by many claimants applying for Social Security Disability Insurance benefits is the agency’s reliance upon an outdated and draconian set of guidelines on what it means to be disabled and what it means to be eligible to work. More specifically, the problem is if an ALJ determines a claimant can perform any work of any kind available in the local, or even national, economy, and even part time, he or she is not disabled. These guidelines come from a Dictionary of Occupational Titles (DOT) and list a series of outdated job requirements. To see how this works in practice, it is helpful to look at an example. If a skilled master plumber is injured and can no longer work, he or she may apply for Social Security Disability benefits. After the initial application is denied on a finding of no disability, claimant will get a hearing before an ALJ. At this hearing, a so-called Vocational Expert (VE) hired by Social Security Agency may determine claimant can lift five pounds frequently and can stand and sit for several hours a day. Based upon the DOT, claimant is capable of working as a sewing machine operator or grocery bagger. Since grocery bagger is a job available in the local economy, claimant is not disabled. It doesn’t matter if claimant will be in pain and will not make enough to take care of his or her family at a minimum wage job. While this may seem like an extreme example, it is actually exactly what happens ever week.